Stila After Hours and Happy Hour Shadow Palette are new 12-pan eyeshadow palettes that launched for Spring 2019 which arrived yesterday on Stila’s website. These are probably the biggest palettes I’ve seen from Stila. They’ve done 9-pans but 12? I don’t think I’ve seen that yet! There are two palettes available one of which is a cooler, light jewel-toned palette and the other is a warmer, earthy palette. Each palette is $52 and holds 0.80 oz of total eyeshadow. So, the shades are about 0.06 oz each give or take an ounce. Stila’s standard shades are 0.09 oz for reference in size. These are limited edition. Any word if this will be available elsewhere? I do think they’re pretty but want to hear more about them/see swatches. 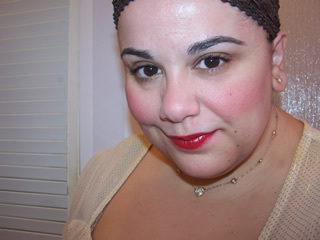 I was a huge Stila fan in its heyday!! The cooler one looks gorgeous but I’ve been a little disappointed by Stila eyeshadow quality before. Making myself wait for some reviews. At Stila, there is a loose powder picture of the shades in the Happy Hour palette. So incredibly beautiful, but with just three mattes, there’s no way I could ever justify this. I’ve noticed that many palettes with color ways I crave are very shimmery. I guess those shades just don’t translate? Oops … I guess there are four … but that deep gray looks almost black. I know YouTube and Instagram love matte black, but for me, I could only ever use it wet, as a liner. Regardless, this is a gorgeous palette. Just not for me. You aren’t alone. I RARELY use black matte in any look! Occasionally as a liner! 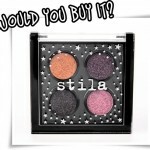 They’re really nice, but I still miss the original Stila shadows and the refillable palettes. I must have at least 3 of them and I don’t even know if they sell the single eyeshadows any more. The trouble is that they’re an odd size, too big for MAC and too small for the standard large size that can be found more easily.